It's time for another challenge over at Christmas Card Challenges. Our challenge this week is to "Layer it Up" meaning to make a card with lots of layers. A while ago I bought this large Jolee embellishment on sale at Michaels. It has lots of layers that give it depth and dimension. To add a little more depth I layered the background papers and the sentiment panel. The sentiment words are EAD Stickers. I inked the edges of the sentiment panel with a chalk ink edger. 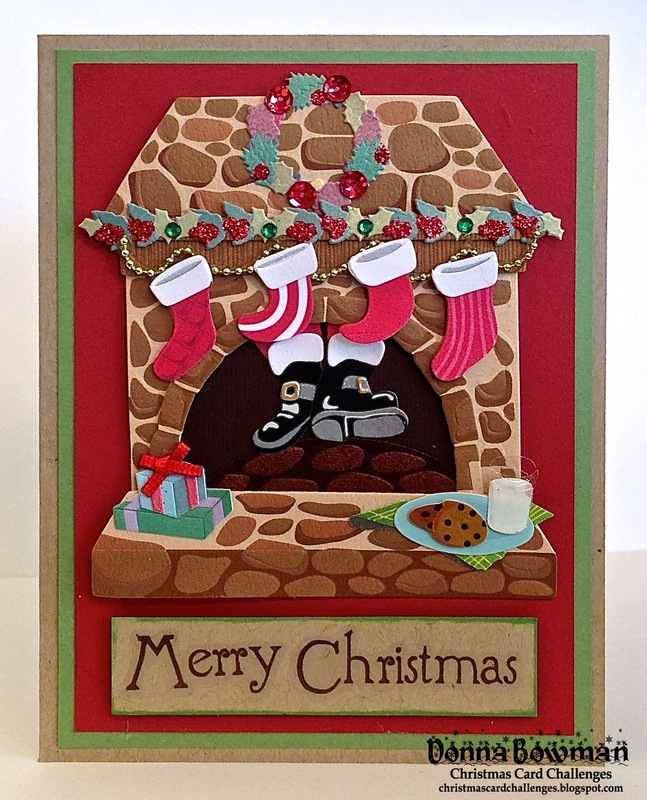 The Kraft Paper is from Papertrey Ink and the green and red are Stampin' Up. I can't wait to see what you come up with this week for this fun challenge. Thanks for stopping by!